When I hit a bit of a reading slump lately I started watching tv more. I have so many programmes that I want to watch. This would be a really long post if I talked about all the programmes I love and the ones I’m currently watching (just finished Santa Clarita Diet). I’m taking holidays owed from work this week and I’m taking a little bit of a break from writing blog posts, I’ve had them all scheduled, so I’m going to concentrate on my writing and reading and TV. 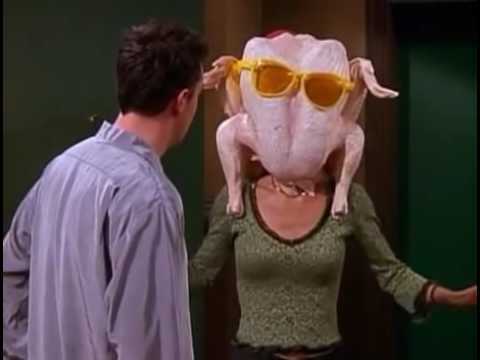 So I thought why not write a holiday post all about tv? I’ve been rewatching Angel recently. I watched it when it was first broadcast and bought it on tape but didn’t think I’d seen them all. Turns out I have except maybe not in order. It was on C4 and in the days before Freeview my channel 4 was snowy (90s kids will remember the fuzzy channels before digital 😂) so I couldn’t watch it. Buffy was on at 6.45 Buffy was my addiction my favourite show ever. Honestly, it was my sister who introduced me to Buffy, I can still remember the conversation. 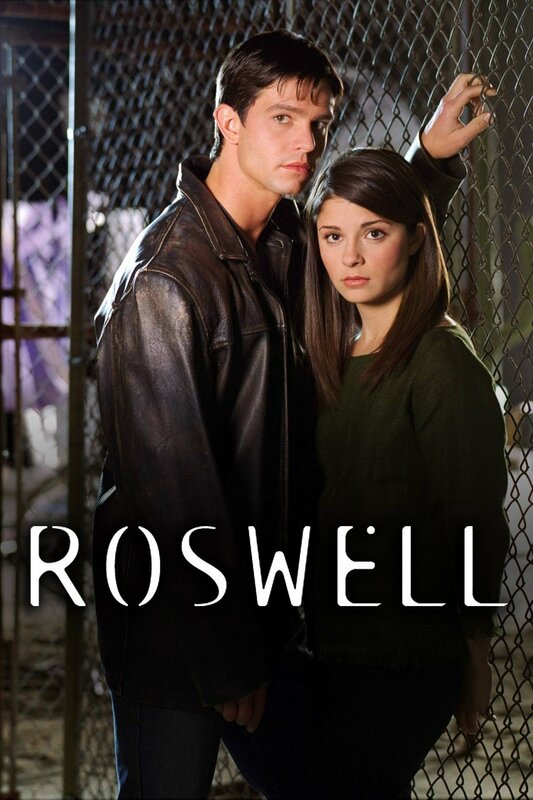 Roswell was on BBC at 6 and I loved it. 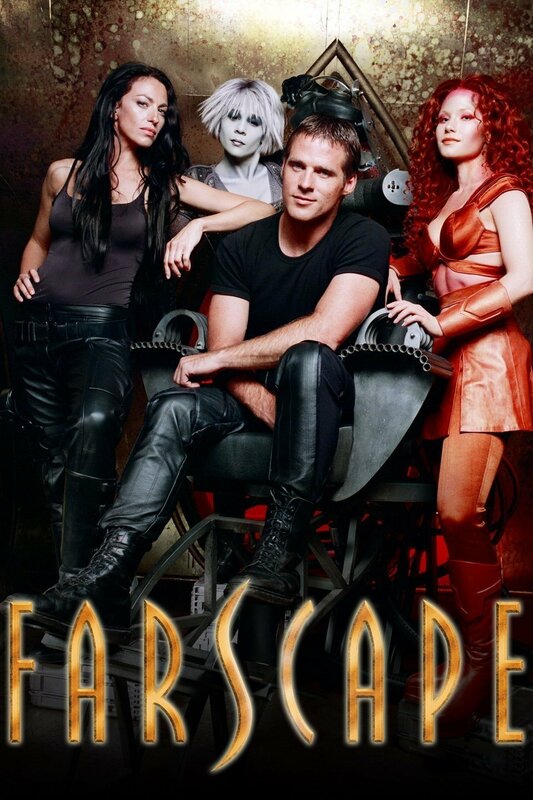 It was on before Buffy. Max is an alien from another planet and he saves Liz when she’s shot at work. The last series the time slot changed and I missed it but family bought the dvd boxset for me. I’ve rewatched it a few times, it never gets old. but I did miss a lot and keep meaning to watch it from the beginning. I did watch Friends too but when I was older, I was too into Buffy and all the weird stuff to get into Friends then. But I love it now, I haven’t watched it in a while. I used to watch it over and over but it’s always on tv so it became a bit much. This is one of my favourite scenes. The Gilmore Girls is my feel-good tv show. I have them all on dvd and they made A Year In A Life!! I’ve watched them so many times, I’m currently watching the last few series again right now. I remember first watching it years ago on Hallmark, but I didn’t have Sky tv in my room so there was just this one episode. Then later E4 started to show it and I realised I’d seen it before on Hallmark. Loved it ever since. And that’s not mentioning all the other amazing programmes I’ve watched on Netflix and tv over the years. Did you ever see Ghost Whisperer? That was a great show but I didn’t like the last season. WHAT HAPPEND TO PROFESSOR PAYNE? I can’t mention all the shows here, my dvds are still boxed up so guaranteed I’ve missed something. Supernatural- it’s on Amazon Prime and I only ever watched a few episodes. I’m so behind. Good Omens: I’m reading the book, I must see the show. Have I missed anything here old or new? Tell me your favourites, maybe I’ve seen them. The struggles of reviewing as a book blogger….. and a writer. Do you write critical/negative reviews? This post is about my struggles with reviewing books, not just as a blogger but as a writer. I don’t like to write critical reviews but an honest review might be just that. I don’t want to criticise a book, I rarely do, but then if someone is spending money on a book and reading reviews to see if they’ll like it, shouldn’t I be honest and say if I didn’t? I only review the books I like, at the moment. But sometimes even if I like a book, there may be a few things I didn’t enjoy. A recent review I published on here was a mix, I enjoyed some of the stories but it wasn’t to my taste and I was honest about it. But it’s a struggle to be honest knowing the author will read the review and they might not like it. 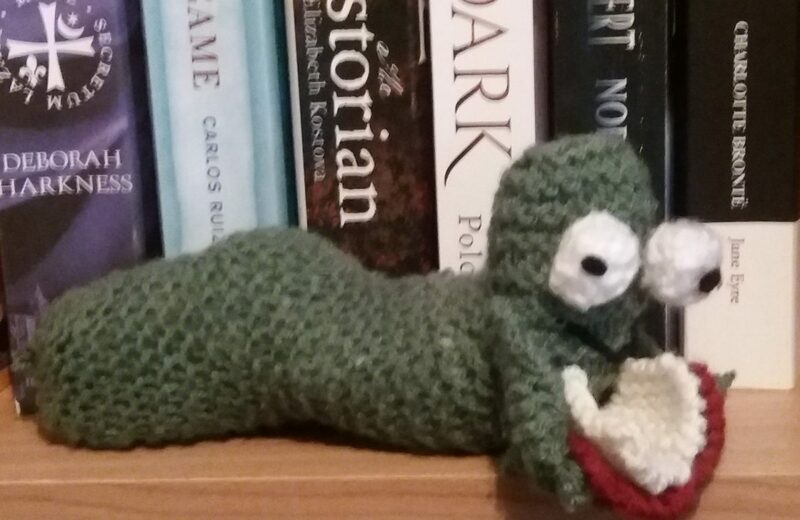 I first started reviewing books on Lovereading’s review panel, I chose the books I wanted to read and they’d publish the review on their website. I didn’t have a blog back then and all my reviews were positive because I liked the books. I probably wrote negative ones on Amazon at some point but they were books from my bookshelf not ARCs. 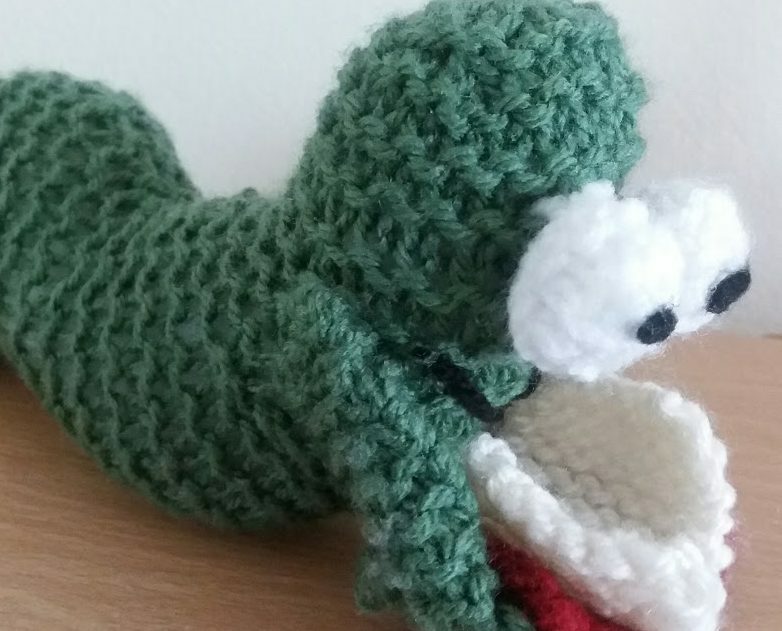 I started my blog ( on blogger which I migrated here) when I joined Netgalley. My reviews were mainly positive, I remember writing one negative review for Netgalley, which was a review of the chapter of a novel I really didn’t enjoy. I had no trouble writing negative thoughts then. I started getting emails from authors and from publicists or representatives of authors looking for reviews. It was then that writing reviews became trickier. I don’t like the idea of writing a negative review if someone has asked me to write a review for their book, it’s a bit like bad press. For Netgalley it doesn’t bother me but if an author or publicist or someone has asked me it feels more awkward, but then you can’t always tell if you will like a book from the beginning. I struggled when I had a lot of books to review last year, I turned a lot of reviews down because I didn’t have the time. And then when I didn’t enjoy some of them. I didn’t want to read books I wouldn’t enjoy and I also didn’t want to write a negative review of books that I didn’t finish. I ended up taking a break because of all this (and my house move of course) and came back to reviewing because I enjoy telling people how great a book is. Question for book bloggers/reviewers? Do you write negative reviews? Do you finish these books or just explain why you didn’t? I wonder if it’s ok to write a negative review if you don’t finish a book? Writing reviews as a writer. Thinking as a writer I don’t like the idea of writing a negative review of a book that someone has asked me to read. I just won’t review it. It’s my taste and might not reflect others and I really don’t want my review to mean that someone else doesn’t read the book. It’s not that I think I have any influence, I just don’t like the idea that it could happen. The idea makes me feel guilty. Allow me a chance to argue with myself here: writers get negative reviews whether I write them or not. You have to have a thick skin, one day I will be published (hope) and I may get them too. Everyone is different and likes different things. Maybe it’s more to do with how people see me? And I don’t want people to hate me? Ok, I’m not saying I’m the best writer, I’d love to be half as good as writers like Carlos Ruiz Zafon or Deborah Harkness, to name just two. But when I’m reading my writer brain will often pick out flaws and ways to improve (after hours of trying to improve my own work it’s natural) or compare to great writers. They say you should learn to read as a writer so you can analyse other people’s books and learn from them to improve your own writing. It would be really helpful if my writing brain would analyse the amazing writing too so I could learn, but it just stops and I gush over a gorgeous sentence (and forget to write quotes down so disorganised) but I can’t see how to write it myself. I’m still learning. My brain is good at finding flaws but when something is so good… can’t compute… can’t tell me how it is good. Only that it is so fricking good! The problem with ‘reading as a writer’ is that I can’t always turn it off. I’ll be reading this riveting story and then my writer brain will go ‘ugh, show not tell, I can’t read this’ and then think of how it can improve it. (not good) Or if it’s first person and there’s been a lot of “I” I’ll start counting them. This spoils my enjoyment of the story. And makes me want to stop. My writing could be the same, my viewpoint could be all over the place, I know I need to learn more about active writing. But then when I review a book I worry that people will think that I am insinuating I can do better. I don’t know if I can. Should I try and shut off that part? I don’t think it’s possible? Do other readers who are not writers pick up the same flaws? If not should I mention them? But I wonder when I read a book where I find flaws: did they have no beta readers? No editor or someone to point out mistakes or things that need to be improved? Should I tell them? If it means their writing can improve they should be told but at the same time, they may be crushed. At the moment If I don’t finish a book I won’t review it. And so far I’ve only had that one review that has had any critical thoughts at all (that I can remember). I try to read books I know I will like to avoid having to turn down a review. I’m bound to eventually read something that doesn’t suit me, that I don’t like. Then I’ll have to decide whether to review it or not. And at the moment I haven’t read a book that I’ve found flaws etc in but when I do, I’m wondering if I should be honest and explain the flaws? Even if the author may be crushed? The easiest way I can write a critical review is to point out the positive, then tell what I didn’t like. You might be reading this and thinking just write your honest opinion. It’s difficult, but in being “too nice” I am also not being truly honest? It’s hard to be honest if you didn’t like something. Knowing that the author will know and might feel bad. 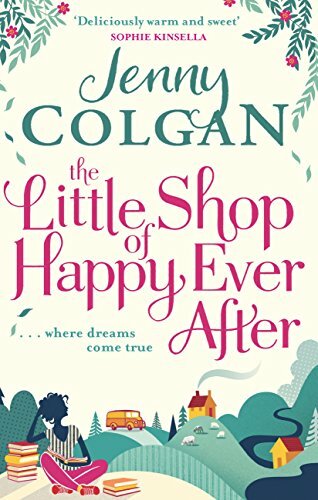 I love Jenny Colgan books, I love The Little Beach Street Bakery series. I found this book in the library and it was the perfect time to read a lighthearted book after reading the dystopian novel 84K. Nina loves books as much as me, she has two copies of the same book, one in hardback and a first edition, she also has a huge to be read pile. When the story begins she’s working in a library, a book lovers dream, but they’re making the libraries smaller and closing to reopen more of a community hub (weird coincidence as they’ve done that to the library I got this book from)so they’re making a lot of people redundant and she may lose her job. She thinks about doing something I’d love to do (but can’t practically): open a book shop. I could relate to Nina’s love of books obviously and also her shyness and introverted nature. I enjoyed this lighthearted read, just like Little Beach Street series it is realistic, even when things seem to be going well for Nina and she thinks she has it all she still feels lonely and isn’t happy. 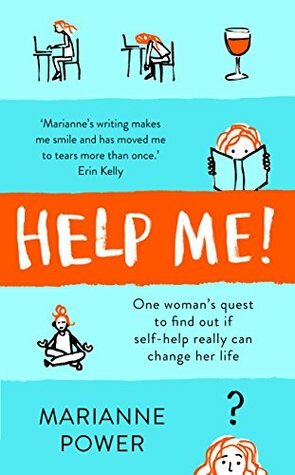 I love how Jenny Colgan can write a lovely fictional story you can get lost in but at the same time put so much of reality in there that you can relate and maybe learn too. The characters are amazing and you will care about them all. I don’t think you can go wrong with Jenny Colgan books, they’re great! The setting of Scotland was amazing, I’d love to go to Scotland. I did prefer The Little Beach Street series, (there was a slight mention of Polly from The Little Beach Street Bakery) there seemed to be more going on and it seemed longer? Maybe I just read this book quicker. I did have quotes and things to add to this post but there was a huge delay and I took the book back to the library. Jenny Colgan books are the literary equivalent to eating chocolate cake: they give you a lovely warm feeling inside. I try to not overdo it and take a break when I start to get disheartened, but at the same time then feel like I’m not doing enough. I read over a few more pages today and then looked over my notes. I don’t feel like I’m getting anywhere, the notes I made seem fruitless. There’s so many loose threads and plot points I need to write into this novel that it seems a huge undertaking. I have to read over a few scenes that’s on Scrivener and as long as that’s it, I don’t have any hiding anywhere, I can start making sense of it all by making a plan. As always I think I should’ve started putting the scenes in order and making a rough list of scenes when I started, my notes do say what’s going on though but it doesn’t seem enough. Plan done, I need to research too and make important decisions regarding which way the story is going and characters. It’s easy to have this huge story and world in your head but trying to commit it to paper is hard. I’m still keeping on with it. I won’t give up. But I am not going to lie and say it’s not a struggle. After writing this I thought to myself I haven’t done enough and read over the scenes in Scrivener. That lead to me do a mind map of one of my plot points/themes. I still wish I’d kept a list of scenes and the daunting task is that I need to do this. TIP: WRITE A LIST OF SCENES OR PUT EACH SCENE ON A STICKING NOTE AS YOU’VE WRITTEN IT. Tempted to keep on going today but I am torn between overdoing it and continuing. I am going to mind map my plot ideas too. I need more scenes, more character work and a plot. I tried hunting for videos and podcasts to help me with the outlining stage. The creative part of my brain is not working today. I ended up writing out all my scenes, well I am concerned I missed some. I’m learning, I should’ve done this when I was reading over my work. I tried putting them on sticky notes, then I put them on the corkboard on Scrivener, then I just wrote them down on cards. And that small job took hours as you find your notes don’t stick or you try to remember if you have indeed forgotten to add scenes. But I have an idea of what’s going on. There’s so much to get your head around and sometimes you’re not in the right mindset to sort it. Now I don’t really know what my next step is. I’m stopping to hunt for my lost notebook, hoping music will make that job more bearable. I moved in September but things are still a mess and in boxes. Thanks for reading. I doing this to be accountable and just in case someone wants to know the crazy journey of finishing a novel. Finishing? Finishing? Every year at this time I think about my goals for the next. They’re usually the same. I’ll say I’m going to write more and finish my novel and then later on I’ll be wanting to lose weight. I sign up to do 30 days of yoga and book challenges. But find it difficult for one reason or another to keep it going. I never know whether these goals are attainable, unrealistic or just wishful thinking. I don’t want to make life a chore of to-do lists and must-do wishlists anymore. I don’t want to sign up to things and then fail at completing them. Maybe I need to stop planning and doing all these things, don’t commit just do when I can. I never know how people do things everyday without running around crazy and feeling exhausted at the end of it. These are things I want to do all the time: yoga, reading, blogging and writing. I started following a writing podcast called couch to 80k bootcamp but struggled to find the time in the third week to carry on. But because I’ve started I’ll feel like a failure if I don’t continue. I also was thinking of signing up for an indie book challenge. Read books that I’ve been meaning to read for a while, specifically Catcher in the rye. Cook more: or rather cook new recipes like Corned beef pie I’ve been meaning to make for ages. I’m avoiding Netgalley and finishing the reviews I’ve already committed to doing and then I’m going to read whatever I fancy. I’ve got so many books I want to read and I don’t want reading to be a chore. So I’ve decided, with the exception of books I’ve already committed to review, I am not planning to review new books for the beginning of 2019. I will make a fresh start and start reading over my novel. It will also give me a chance to read books on my shelf and I will be reviewing these. I have a few reviews to write for January. I want to review books for people and I’d love to grow this blog but I think I’m trying to do too much. I don’t want a crazy list of goals and resolutions I just want to focus on what’s important and let everything else hopefully fall into place. What I’ve been doing in the past hasn’t worked so it’s time for a change. I’m not sure if it’s me trying to do it all or my lack of routine. So there’s just the one serious goal really and the others are for fun. I’ll keep blogging. Let me know your resolutions. Your goals or maybe you don’t have any and your happy tell us in the comments. Well, I’m hopeless at taking photos. But these are the two books I picked to read for Christmas. A Christmas Carol by Charles Dickens is a reread, I love reading this book at this time of year. I also love The Muppets Christmas Carol movie and watch it every Christmas Eve. This book is a quick read perfect for this busy time of year. I’m almost finished. I love the story of Scrooge learning the true meaning of Christmas. I love Dicken’s style for this story. There’s something about this time of year that I just love to read classic books and cosy ghost stories which has been the influence for the books I’ve picked this year. Ghosts of Christmas Past is a mix of classic and modern tales of ghosts and horrors. Perfect if you don’t have much time to read. I’m enjoying this, I have eight stories left to read, I skipped two I wasn’t enjoying but I might go back to them. I can’t wait to read the one by Neil Gaiman. I’ve been struggling to finish my Goodreads challenge so I haven’t picked full length novels to read since I’m already still reading two other books! I have been having trouble sleeping lately and wanted to read another book to complete my challenge, so I found a video reading of How The Grinch Stole Christmas by Dr Seuss it was a read along video, I wouldn’t have got hold of the book quick enough and the ebook was only suitable for tablets. So that has been an extra Christmas read and a bonus for my reading challenge. Tell me what you’re reading. I’d love some ideas for next year. I recommend Christmas at Little Beach Street Bakery by Jenny Colgan as a fun Christmas read. I look forward to reading more amazing books in future, carving more time for my blog and other writing projects. Also I plan to read more indie books and might be joining a new challenge from the people at Ninja Book Box…. More about that and all of this very soon.